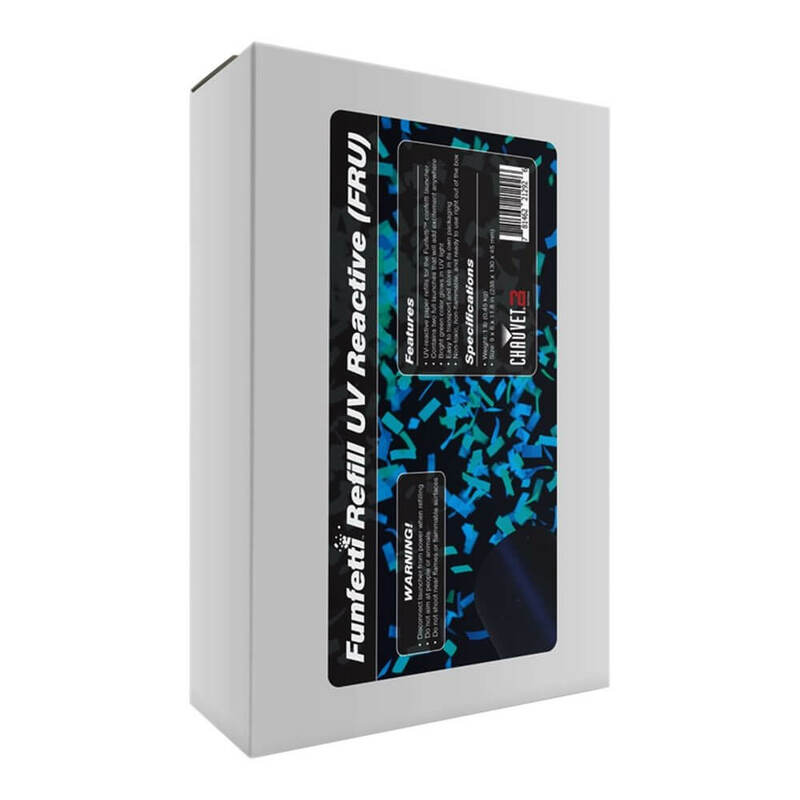 Chauvet Funfetti Refill UV - 2 Shots in 1 Box! 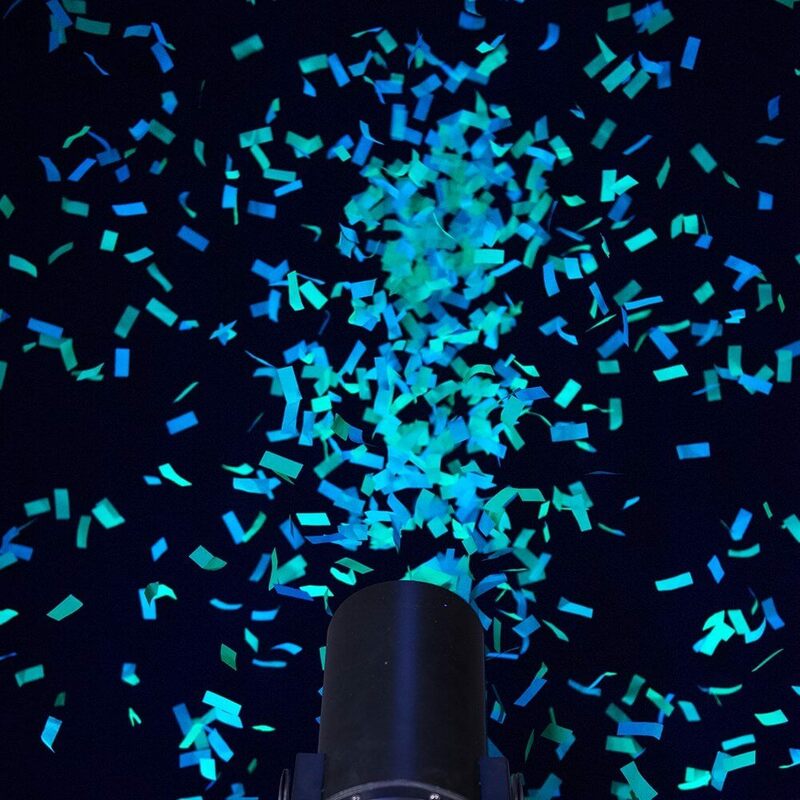 The CHAUVET® DJ Funfetti Shot™ Refill - UV is a UV-reactive paper confetti refill for the Funfetti Shot™ confetti launcher. It contains two full confetti launches and is easy to transport and store in its packaging. Its bright green colour glows in UV light. The Funfetti Shot™ Refill - UV is non-toxic, non-flammable and ready to use right out of the box. Please note: There are 2 shots in one box.